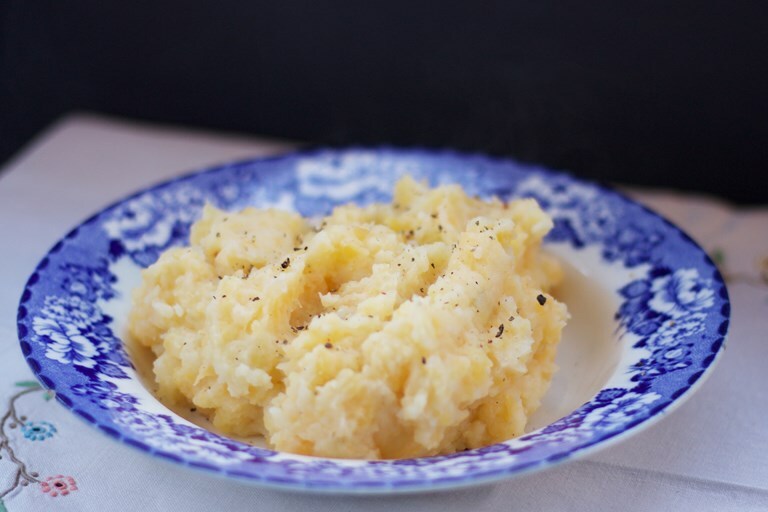 Graeme Taylor shares his classic Clapshot recipe, a hearty Scottish dish of mashed swede and potato (or neeps and tatties). Serve alongside haggis, stews or roasted meats for a warming winter's meal. I have no idea why swedes and turnips have their names switched over on either side of the border between Scotland and England, they just have. For this recipe you need what I know as a turnip (or swede in England) – the large purple vegetable with orange flesh rather than the one beloved of Baldrick. This is a perfect autumn and winter side dish as it is warming, rich and creamy, and adds to so many of the meals we enjoy as the days get shorter including stews, haggis, steaks and roasted meats. Reduce to a simmer and cook for 15–20 minutes until the vegetables are cooked.